May 1939. 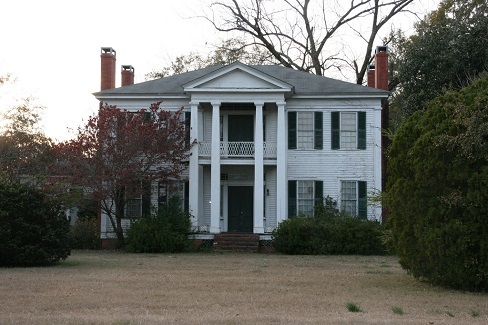 "Old home in Alabama built about 1850 called 'Silver Place,' owned by Mr. Frazier, now rented by two families." 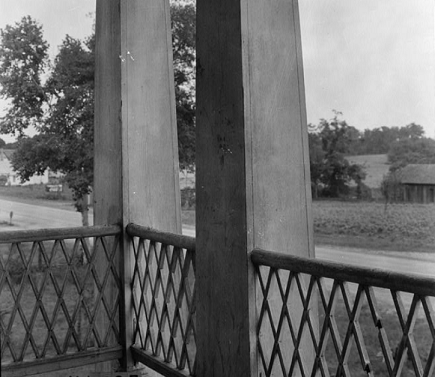 Medium format negative by Marion Post Wolcott for the Farm Security Administration. View full size. Submitted by Spanky on Tue, 04/09/2019 - 6:20am. One thing that catches my eye is how the 4 large, square pillars become more narrow at the top, giving an illusion of greater height. Here's a view from the 2nd floor. Submitted by Sophie Spence on Tue, 04/09/2019 - 12:14am. Fascinating to compare room by room with the 1935 photos linked by jtkirkland. Submitted by DaveA on Mon, 04/08/2019 - 10:01am. 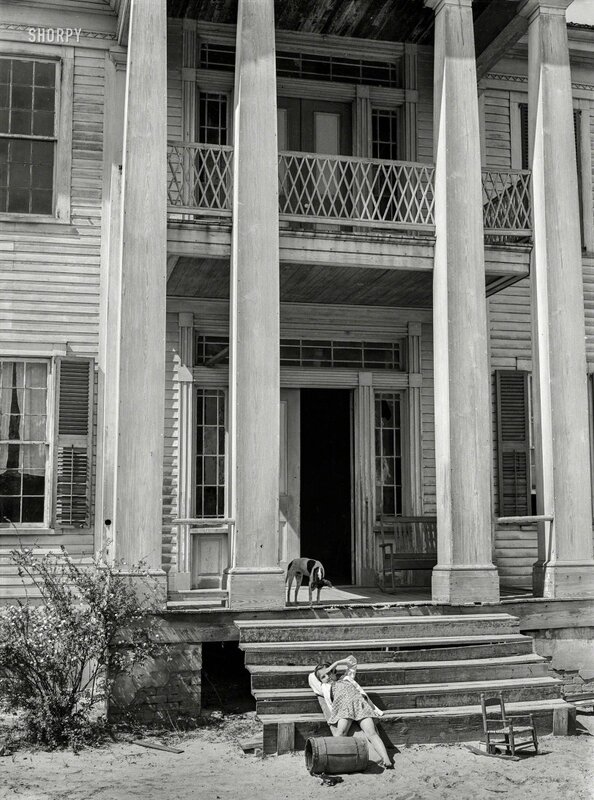 Big Daddy may not have made his move on this place yet in 1939, but it looks like they might still be able to stage a garden party at the house now. Once someone gets out a coat or paint or two on the circa 1845 family manse. Near Orion, Alabama. Submitted by jtkirkland on Mon, 04/08/2019 - 4:56am.